Grrrls Nite Out is back, and right before the Thanksgiving holiday! We are extra thankful to bring you another set of killer women comics from across the country! 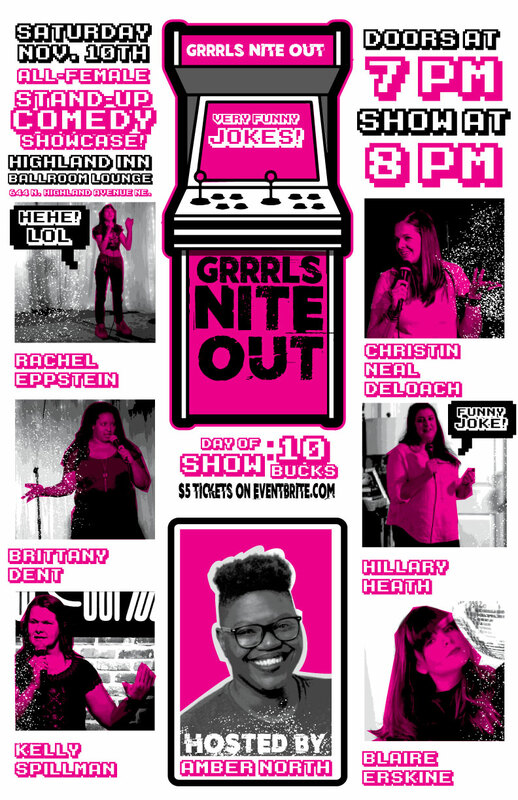 This lineup will keep the good times rolling for you with Brittany Dent, Blaire Erskine, Hillary R. Heath, Rachel Eppstein, Christin Neal DeLoach, and Kelly Spillman from Los Angeles! Ladie's Night featuring Ladie's Night!